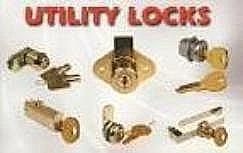 Citrus Lock & Security has a large assortment of locks for every purpose. We carry all the major lock lines, including: Schlage, Kwikset, Master Lock, Dexter, Ilco, Kaba, Sargent, Corbin Russwin, Detex, Marks, Hager, Strattec, Compex / National, Norton, Olympus Lock and American Lock: just to name a few of the products we provide. If you are in need of a product we normally do not carry, please let us know. Our supplier is local to the area. If they have it in stock at their warehouse, most likely you will have it the next business day. The same also applies for any Special Orders. All you have to do is ask us and we will do our very best to get it for you. We carry a wide variety of mail box locks for different box manufacturers. In most cases, the duplication of mail box keys should be performed by a professional Locksmith. Not only will this will insure the duplicate key's accuracy, it also insures the correct key blank is being used to fit the lock; as there are many different types of mail box key blanks from which to choose. We also carry a wide variety of Desk Locks, Drawer Locks, File Cabinet Locks, Cam Locks, Glass Show Case Locks For Businesses, Generic Mail Box Locks, Window locks & Patio / Sliding Glass Door Locks, Panic Devices, Door Closers, Padlocks, Utility Locks, etc. If there is a product you are looking for and do not see it here, please let us know. We will do our best to get it for you. We carry everything from Knob (Entry) Locks and Deadbolt Locks to almost everything in-between. As I said earlier, if there is any product we do not carry as a regular stock item, please let us know. We will do our best to get it for you. High Security Locks are also available upon request; such as Medeco, Assa, Schlage Primus, Schlage Everest, Sargent, etc. Medeco Locks have hardened steel inserts which make them highly drill resistant. The interior pin design makes these locks virtually pick proof and bump proof. All Medeco Locks have Restricted Keyways which prevents unauthorized key duplication. Let us know what your needs are and we will be happy to give you a free quote by phone. If you have any questions about any of our products, please feel free to give us a call. We always answer our phones, day or night 7 days a week, 365 days a year. Please Keep In Mind, We Now Only Accept Credit Or Debit Cards For Out Of Area Or Out Of State Customers. For Our Local Customers, We Will Gladly Accept Either Cash Or Check. Thank You. Copyright © 2019. Citrus Lock & Security. All Rights Reserved.